(Reuters) - Republican Brad Raffensperger appeared poised to become Georgia’s new elections chief but his Democratic opponent John Barrow declined to concede the race early on Wednesday, saying that every vote has not yet been counted. Some media outlets had already called the secretary of state election in the Republican’s favor late on Tuesday. He said the number of absentee ballots was greater than the margin of votes between he and Raffensperger. A victory for Raffensperger would mean he takes office after critics accused Georgia Republicans this fall of suppressing minority voting rights. Raffensperger declared victory after winning more than 50 percent of the vote, with more than 2,000 of Georgia’s 2,634 precincts reporting, according to the Atlanta Journal-Constitution. “I’m very humbled and very honored to have won this race tonight,” Raffensperger said, the AJC reported on Twitter. The race went to a runoff when neither candidate secured a majority in the Nov. 6 general election. Raffensperger, a businessman and former state legislator, promised to strengthen voter ID laws, update voter lists and improve voting machines in his new role overseeing state elections. 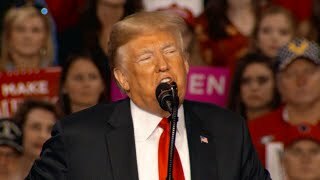 U.S. President Donald Trump and newly elected Georgia Governor Brian Kemp both endorsed Raffensperger. The contest showcased the partisan divisions still rankling the state after its hard-fought governor’s race, which saw widespread reports of voting problems during an election overseen by then-secretary of state Kemp. Kemp’s narrow victory over Democrat Stacey Abrams followed complaints of hours-long waits in heavily minority precincts, polling equipment failures and concerns about absentee ballots getting rejected under stringent rules that voters’ signatures exactly match the records on file. 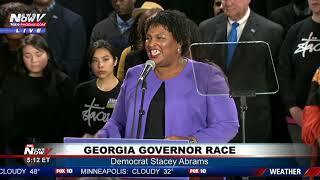 Abrams was seeking to become the nation’s first female African-American governor. Barrow, a U.S. representative for Georgia from 2005-15, pledged to reform the state’s process for updating voter rolls to make sure voters were not purged by mistake.